to the corresponding Examples & Explanations. 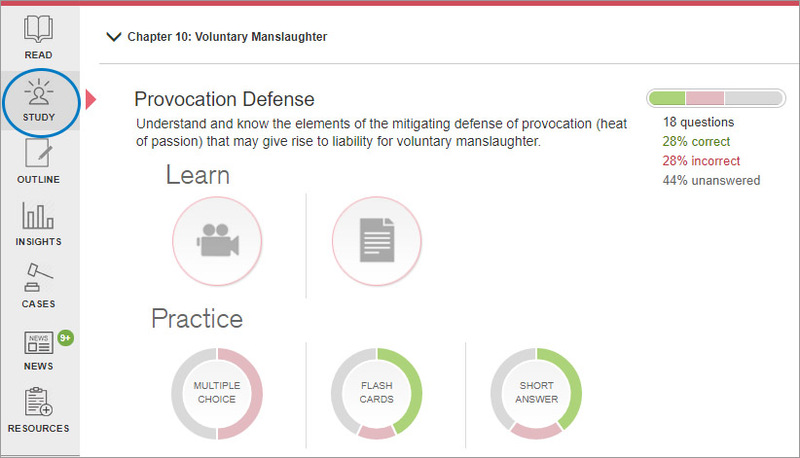 FREE online Examples & Explanations e-book with highlighting and note-taking capabilities. Questions from your Examples & Explanations title in an interactive format. Portability, immediate feedback, and greater efficiency preparing for class. You are already logged into CasebookConnect. Simply go to your Bookshelf to redeem your access code. 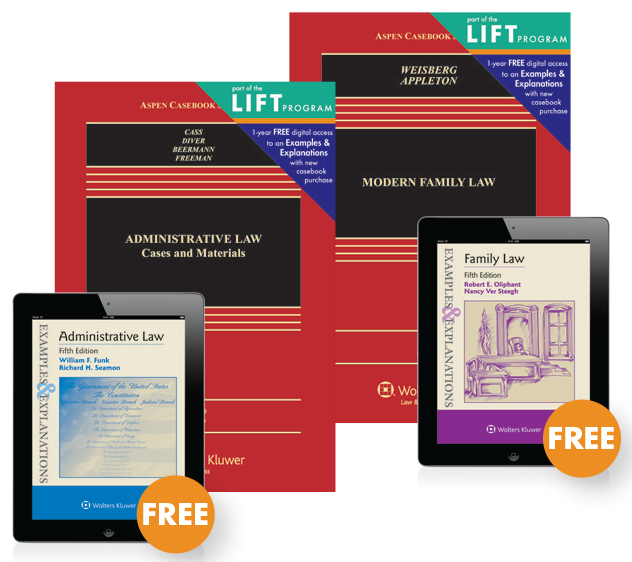 Look for the LIFT sticker when purchasing your casebook. Access codes for 1-year digital access to the corresponding Examples & Explanations are included only with new book purchases. 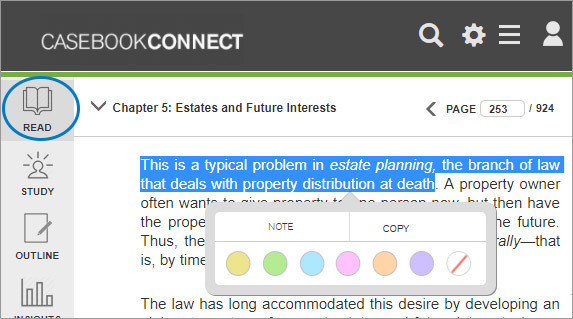 If you purchased a used casebook and still want access to the digital Examples & Explanations title, visit our catalog page for more information about Connected Study Aids. 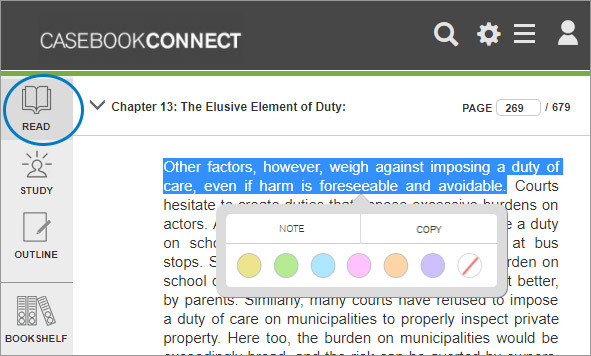 Read your textbook online anytime with robust highlighting, annotating, case-briefing, search, and navigation options. From the Study Center, watch tutorial videos, read helpful explanations, and assess yourself with a variety of question types selected from popular Wolters Kluwer study guides. 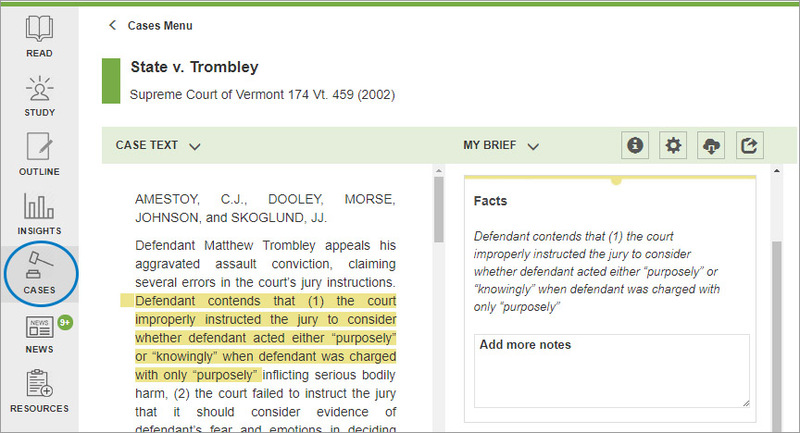 If your book includes cases, efficiently create, edit, and share your case briefs from the Cases page based on your e-book annotations. Get a head start on your course Outline. Your e-book notes and highlights are compiled in outline format, which you can export or copy to further edit. 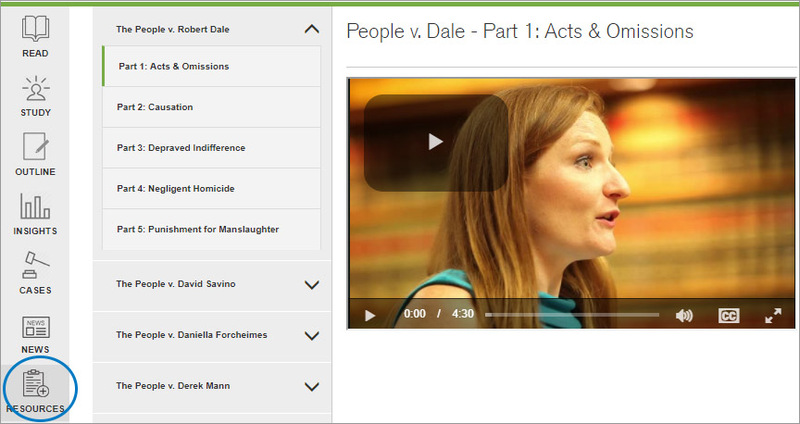 Check the News feed regularly for the latest legal news in your course area of student. 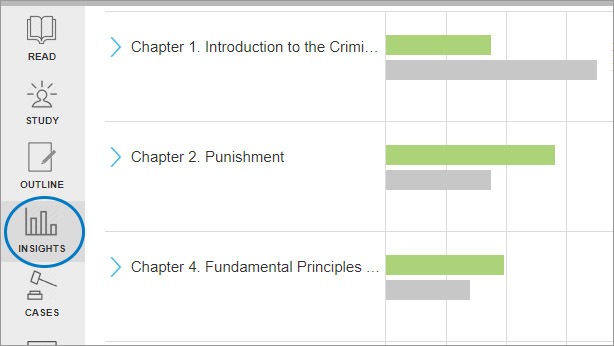 From the Class Insights area, professors and students can connect and view a class dashboard of the students’ work in the study center. You may also see a Resources section, which is an optional area for your textbook authors to provide supplemental online materials. Read your book online anytime with robust highlighting, annotating, search, and navigation options. In the Study Center, you’ll find all the practice questions from your book in interactive format. Your e-book notes and highlights are compiled in Outline format, which you can export or copy to incorporate into your course outline. Read your PracticePack e-book online anytime with robust highlighting, annotating, search, and navigation options.